The Levy County Sheriff’s Office received a report of a possible construction scam in the Bronson area today. The Suspect approached a homeowner and offered to do a paving job with “leftover” materials. After agreeing to the offer verbally, the Suspect attempted to change the price and the homeowner contacted the Sheriff’s Office. When the deputies arrived, the Suspect could not produce a valid contractor’s license. All forms of identification indicated that the construction crew was from outside the Levy County area. The Suspect agreed to discontinue work and not charge the homeowner. He left the area along with his crew. LCSO encourages all citizens to be on the alert for these types of scams. They tend to increase this time of the year when the scammers migrate to Florida from colder climates. Possible warning signs to look for include unsolicited offers to do work and offers to use “leftover” materials at a very low price. We encourage everyone to do business with reputable local contractors to avoid being scammed. Please report any suspected fraud or other suspicious activity to LCSO at 352-486-5111 or to Crime Stoppers of Levy County at 1-877-349-8477. The Levy County Sheriff’s Office and The Florida Highway Patrol will be conducting a Comprehensive Roadside Safety Check Point (CRSC). This dual agency check point will be conducted on Wednesday, December 31, 2014, beginning at 10:00 PM. at 13574 North US Highway 19, Chiefland, Florida. D. The vehicle license plate information. Cellular phone callers can contact the nearest FHP Communications Center by dialing “Star FHP” (*347). This is a free call that is provided as a courtesy by the cellular phone companies in Florida. Callers can report any emergency, including an impaired driver, by calling 911. Roadside Safety Checkpoints are one part of the enforcement plan to enhance highway safety for all our citizens and the visitors to our State. 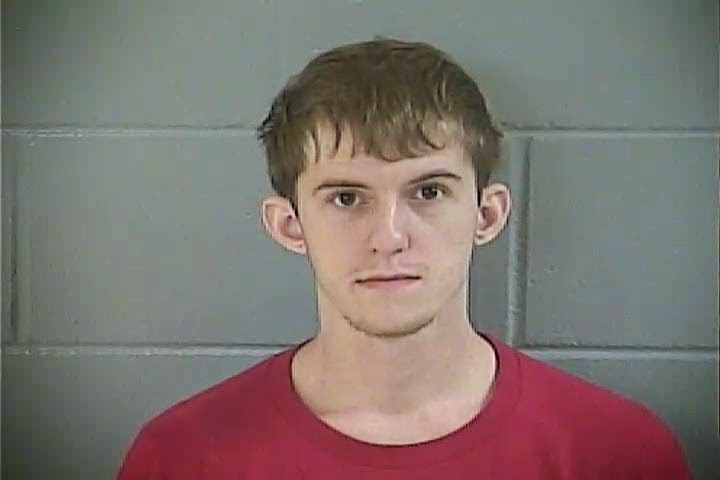 The Levy County Sheriff’s Office has made one arrest and has identified two other individuals who are believed to be responsible for more than 20 separate burglaries in the Bronson area. The crimes stretch over a period of 14 months. The locations that had been targeted included various businesses as well as schools in the Town of Bronson. The investigation gained momentum when Deputies from our Patrol Division intensified patrols around the buildings that were being burglarized. On December 19th, Deputies Jeremy Dean and Justin Van Duren completed a Field Interview Report on Jordan Ray Price (11-13-94). LCSO Investigators Scott Stancil and Noel Ramirez were able to take the information from the report and positively identify Price as one of the individuals who had broken into Bronson Middle High School on multiple occasions. Eventually they were able to identify two additional suspects in some of the crimes. On December 24, LCSO Deputies arrested Jordan Price on one count of Burglary, Criminal Mischief and Trespassing on the Bronson Middle / High School Grounds. His bond has been set at $16,500.00 and he remains incarcerated at the Levy County Detention Center. Investigators continue to build the cases against the known suspects. They anticipate filing more than 50 criminal charges in the combined cases. 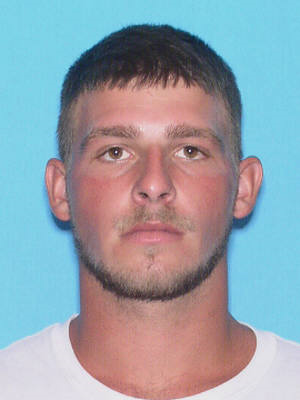 LCSO also requests the public’s assistance in locating Gatlin Michael Clark (12-6-91). Clark is a person of interest in several cases and is currently wanted by the Lake County Sheriff’s Office for a Violation of Probation. LCSO thanks the public for their assistance in solving these cases. Citizens are reminded they can report suspicious activity to LCSO 24 hours a day at 352-486-5111. They can also make anonymous reports to Crime Stoppers at 1-877-349-8477. On December 8, 2012, Deputies from the Levy County Sheriff’s Office responded to 10150 NE 48th Lane in Bronson to the report of a deceased person. The investigation revealed that the resident, George Pierce (8-15-61), had been murdered in his home. After following up on initial leads, the investigation has gone cold. On the second anniversary of Mr. Pierce’s murder, LCSO Investigators are asking the public for their assistance in closing this case for the friends and family of Mr. Pierce. Anyone wishing to provide information can contact the lead investigator, Lt. Jimmy Anderson, at the Sheriff’s Office. Crime Stoppers of Levy County has authorized a cash award of up to $1,000.00 for information leading to the arrest and prosecution of the person or persons involved in the murder. That information can be provided anonymously at 1-877-349-8477. Levy County Deputy Sheriff Brandin Sullivan recently completed all the training requirements of the Drug Evaluation and Classification (DEC) Program, also known as the Drug Recognition Expert (DRE) Program. Deputy Sullivan became one of approximately 240 DRE’s in the State of Florida and is the first with the Levy County Sheriff’s Office. The program began in the early 1970’s when personnel from the Los Angeles Police Department developed it to combat drivers who were impaired by substances other than or in addition to alcohol. Today the program is internationally successful and is endorsed by the International Association of Chiefs of Police and the National Highway Traffic Safety Administration. Through his training, Deputy Sullivan (and all Drug Recognition Experts) are able to identify impaired drivers and then determine the cause of the impairment. Many times the DRE’s can determine the category of drugs that is the likely cause of the impairment. Deputy Sullivan may now be qualified as an expert witness in court on a variety of topics related to impaired individuals. He will be required to complete continuing education requirements to maintain his expert status. LCSO will make Deputy Sullivan available to assist other law enforcement agencies throughout Levy County with drug impaired driver investigations. LCSO congratulates Deputy Sullivan on being selected for this prestigious program and completing the rigorous requirements. Levy County roads will be safer due to Deputy Sullivan’s enhanced ability to detect and evaluate impaired drivers. LCSO congratulates Officer Braswell on her award. We thank her for her service to her country and the citizens of Levy County. The vehicle owned by Melvin Persenarie on the day he disappeared has been located. The car was spotted by Gainesville Police Department and Alachua County Sheriff’s Office Joint Aviation Unit today at approximately 2 pm on an unimproved road south of SR 24, just outside the Town of Bronson. The vehicle was stuck in deep sand and appeared to have been abandoned by a single occupant. Investigators have also been given the preliminary autopsy findings by the 8th Circuit Medical Examiners Office. Mr. Persenaire did succumb to death by natural causes. No foul play is suspected. This is a truly sorrowful event for the family and our community. “Sarge” as he was known by friend and co-workers will be missed. The LCSO wishes to express our condolences to the family. LCSO wishes to thank the Gainesville Police Department, Alachua County Sheriff’s Office, Florida Wildlife Conservation Commission officers and the combined Aviation Unit for all of their assistance in this investigation. On December 3, 2014, the Levy County Sheriff’s Office held a ceremony to welcome new employees and congratulated others on transfers and promotions. LCSO welcomed Telecommunications Officer Sarah Moore, Detention Officer Keith Coleman (formerly with the Florida Department of Corrections) and Deputy Sheriff Kevin Shepherd (formerly with the Williston Police Department). These three new employees are pictured below giving their oath of office to Sheriff McCallum. LCSO also said our “official goodbye” to three very dear friends (and we shed a few tears as well). We wish to thank Telecommunications Supervisor Edna Fuller, Detention Sergeant Linda Cook-Ott and Deputy Sheriff Matt King for their many years of service to the citizens. We wish them all the best in retirement. Each of them will forever be a part of the LCSO Family. The three honorees are pictured below. Yesterday at approximately 5 pm the Levy County Sheriff’s Office received a call from a resident who reported he had located the remains of a person in a wooded area near his home. Deputies responded to the 9800 Block of NE 121 Street in the University Oaks Subdivision in Bronson and located the body of Melvin Andrew Persenaire (10-13-1949). Persenaire had been reported missing by his wife on November 29th to the Gainesville Police Department. 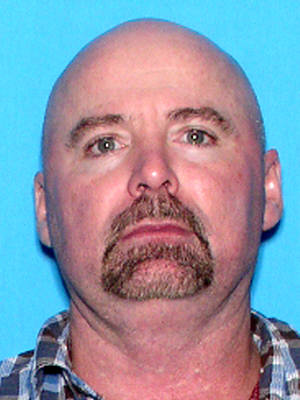 Persenaire was last seen at Wal-Mart at the 23rd Street location in Gainesville on November 27th. He was an employee there and ended his shift at approximately 3:45 pm. Parking lot surveillance video was reviewed by GPD officers, and Persenaire could be seen entering his 2010 silver Hyundai Accent and leaving. Persenaire was last been seen wearing his Wal-Mart vest, tan pants and a blue Tee shirt. GPD issued a BOLO (be on the look out) for Persenaire and his vehicle. Persenaire had not been seen and had not contacted any family since his disappearance on the 27th. 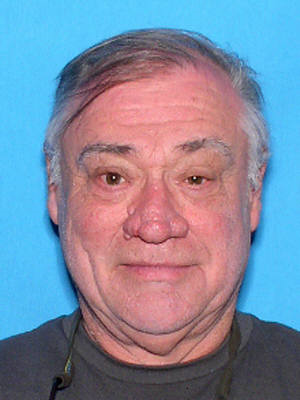 His wife was working closely with GPD detectives to assist in the search for her husband. Levy County Sheriff’s Office investigators are working with GPD and family, attempting to piece together the timeline of events that occurred since Persenaire went missing. LCSO is searching specifically for Persenaire’s vehicle. 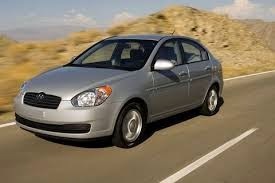 The vehicle, described as a Silver 2010 Hyundai Accent 4 door with attached Florida tag: N04-0CH, has not been located. Law enforcement officers from several agencies have focused efforts to locate the vehicle in the Bronson area, west of Archer. LCSO is asking for the public’s assistance in locating the vehicle. LCSO needs anyone who may have information which could help investigators locate this car to contact the Sheriff’s Office. Also, anyone who may have had any contact or information about Persenaires’ whereabouts between November 27th and December 3rd, please contact LCSO at 352-486-5111 and ask for Sgt. Mike Narayan. Citizens wishing to remain anonymous can always contact CrimeStoppers about any crime or suspicious activity. Several complaints about “Secret Shoppers” and winning a foreign lottery have been filed. Unfortunately, if you fall for their sales pitch, you are always the loser. Local Law Enforcement, in most cases, cannot recover any of the money you send out.